Ciaz is an important product from Japanese auto maker, Maruti Suzuki. Soon after an year after the launch of Maruti Ciaz, the company exclusively brought the SHVS hybrid system which escalated its appeal. 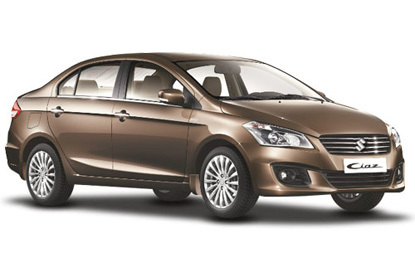 Maruti wants to distinguish its Ciaz offering and doesn’t want to follow the footsteps of SX4. Ciaz’s attractive looks, fuel efficient engines and pricing is what the company is counting on. The company now wants the Ciaz to stand in the premium nexa showroom. Bringing Maruti Ciaz to Nexa showrooms is a pretty good move by Maruti, this would help the premium quotient to go even higher. The 2nd reason why Ciaz is heading to Nexa is because the YBA which is also known as Vitara Brezza would go to normal dealerships. The upcoming Vitara Brezza would also get the volumes like other car in the same segment, therefore Maruti made this decision since day one. Maruti Ciaz with its slightly lower volumes shall stay in Nexa. Next new product in the Nexa showroom is going to be Maruti Ignis, at this point in time it is too early to comment on the same. Maruti Suzuki is actually readying its game plan for the 2016 and lot of surprises awaits us including the sales chart killer, Maruti Dzire diesel AMT that should be the first launch this year.